Leading Manufacturer of spade drills, spade drill shank 1824 mt shank and spade drill 130175 from Chennai. With sincerity and hard work of our experts, we have carved a niche for ourselves in this domain by offering Spade Drills. 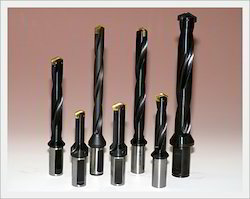 The offered drill finds wide usage in automobile, hydraulic and engineering industry. The provided drill is manufactured using premium quality raw material and ultra-modern technology under the direction of highly experienced technocrats. In tandem with set industry standards, we provide this drill in numerous sizes to meet the requirement of our patrons. Looking for Spade Drills ?